The Ford F-Series pickup has led the sales chart for what seems like forever and is still the top-selling truck and top-selling vehicle in North America. So one might think the automaker is taking a huge gamble by totally revamping the powertrain lineup in a single strike. This is the first time any manufacturer has ever completely replaced every engine and Ford is going “all-in” with a pair of sixes and a pair of eights. Ford F150 team members hosted media from all over the country to introduce the automotive press to the new powertrains. An entire day was devoted to driving the 2011 pickups sporting the new engines in a variety of situations and against the competition as well. On the dragstrip all four engines ran against the Ram with a HEMI and the Chevy with both V-6 and V-8 engines. 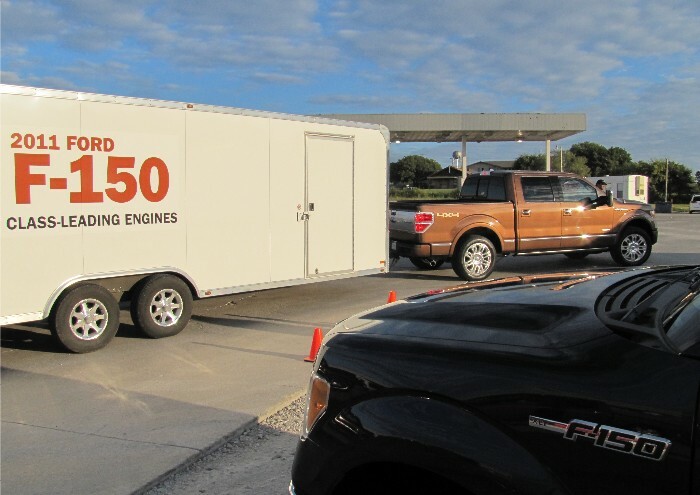 We zipped around the country highways west of the Texas Motor Speedway behind the wheel of trucks towing trailers head-to-head with Chevy, Toyota and Ram and logged quite a few miles without any payload as well. Only thing missing was an offroad course. All of the 2011 powertrains are backed by six-speed automatic transmissions. 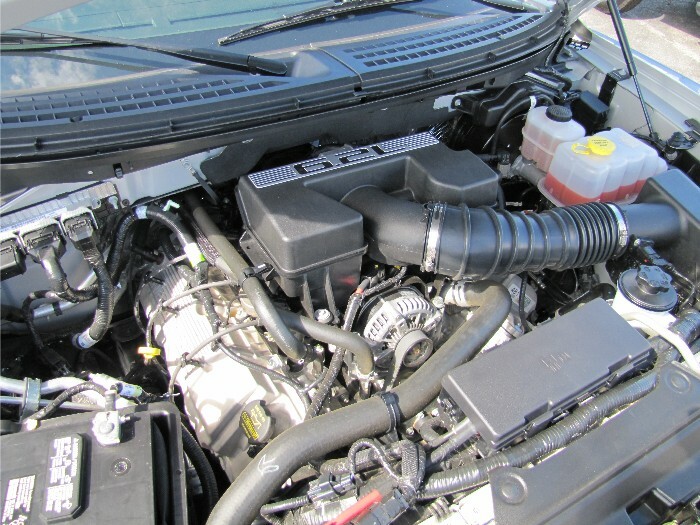 The base engine marks the return of a six-cylinder engine to the F-150, a 3.7-liter V-6 unit that cranks out as much power as the base V-8 did just a few short years ago. The 302 ponies here surprised us on the dragstrip as it not only kept pulling all the way down the run it produced a decent enough howl. Not HEMI sweet by any means but attention-getting nonetheless. From there Ford jumps to the new 5.0-liter V-8. Both of these engines mentioned so far got their debut last year in the Mustang and now Ford is expanding their use deeper into the product portfolio where they will most likely be in high demand. The 5.0 cranks up the volume to the tune of 360hp and 380 lb. ft. of working torque, enough to achieve a tow rating of 10,000 lbs. To remain truly competitive in the modern pickup market Ford is introducing the new 6.2-liter V-8, a modern homage to early “big blocks” delivering 411hp and 434 lb. ft. of torque raising F-150’s tow rating to more than five-and-a-half tons. 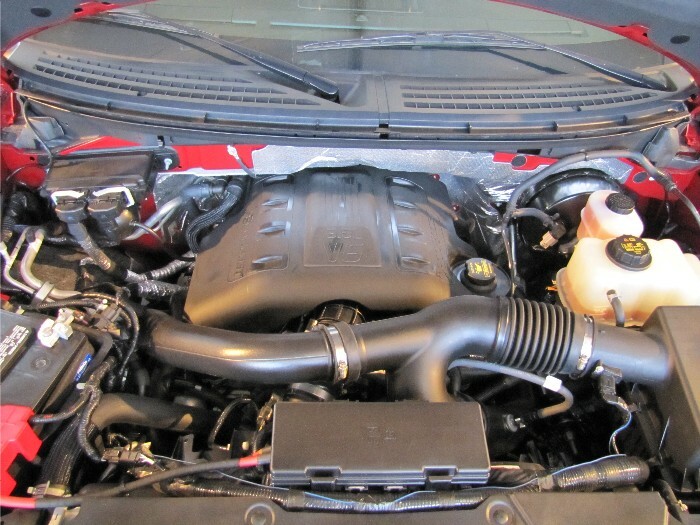 We tested this engine in the new Harley-Davidson F-150 and in a word, this thing is a beast. Ford’s final new engine is the one that will have most likely be their toughest sell, especially to traditional truck buyers. The new EcoBoost twin-turbo V-6 for the F-150 probably has most folks thinking it would best be suited for some sort of racing application, not pulling a trailer laden with hay or livestock. Au contraire mon frere. Ford engineers are re-writing the truck manuals with this baby and while the power numbers are impressive enough (365hp and 420 lb. ft. of torque) the proof, as they say, is in the pudding. And we spent the better part of a day “pudding” this baby to the test. EcoBoost sports a torque curve nearly as flat as the west Texas desert but power is delivered early and just keeps on coming. 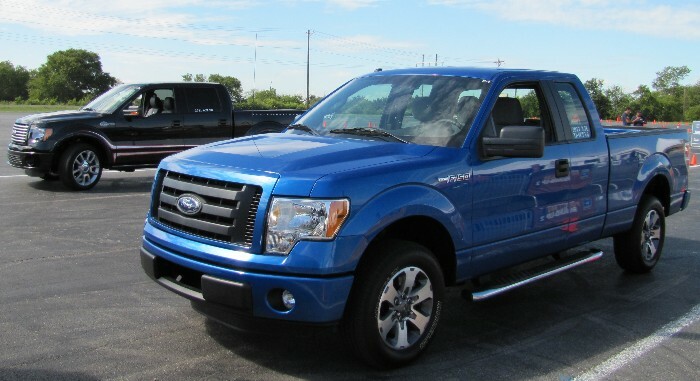 Laden or not, the 2011 F-150 with the EcoBoost engine raise quite a few eyebrows. Also new for 2011 is Ford’s Electric Power Assisted Steering (EPAS) that will come on all but the 6.2-liter powertrains. Thanks to speed sensitivity EPAS holds rock steady on the open road while making low-speed parking maneuvers a breeze. And thanks to the mechanical disassociation drivers are treated to a more pleasant onroad experience. While fuel economy figures have not been released yet, Ford is boasting most as “best-in-class.” Our own experiences confirmed this and despite not winning the fuel economy challenge Ford hosted during last week’s event, we did manage at least a 25-percent improvement when comparing the new EcoBoost to the outgoing, less-powerful V-8. Ford will be rolling out the new 2011 models by year’s end with EcoBoost making its way into the lineup first quarter next year. Unfortunately the 6.2-liter V-8 will not be initially offered in King Ranch trim but is the heart and soul of the new Harley and Raptor trucks. 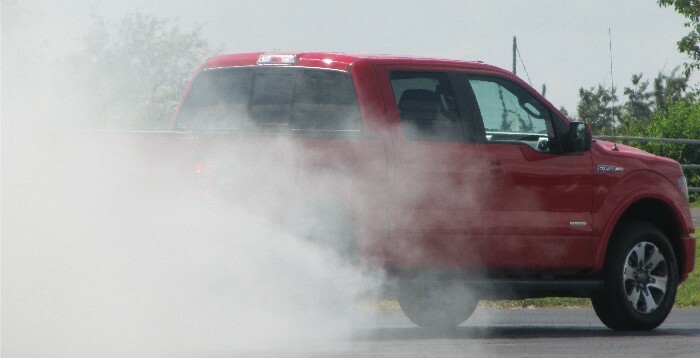 With this new engine lineup, Ford is raising pickup wars to the power of four.